Chinese president Xi Jinping has pledged to open up his country’s car industry to foreign manufacturers, improving access to the world’s largest vehicle market. In a speech seemingly designed to defuse growing trade tensions between the US and China, President Xi said that current controls on ownership of businesses building vehicles in China would be eased. Mr Xi described this move as part of a "new phase of opening up" the Chinese economy. He sought to reiterate the regime's line that China was a reluctant part in the trade spat with the US. Mr Xi said: "Cold War mentality and zero-sum games are becoming increasingly obsolete and outdated." The head of the International Monetary Fund, the world's lender of last resort, Christine Lagarde weighed in on Mr Xi's remarks. The moves to open up the Chinese economy by "removing caps, reducing barriers" were "very specific," Ms Lagarde said as she praised the efforts. Currently China requires foreign car makers to set up 50:50 joint ventures, which limit their ability to fully benefit from selling into the nation. The action on joint ownership of companies, though scant on detail, is significant because until now the rules have limited car makers' appetite for investing in China. 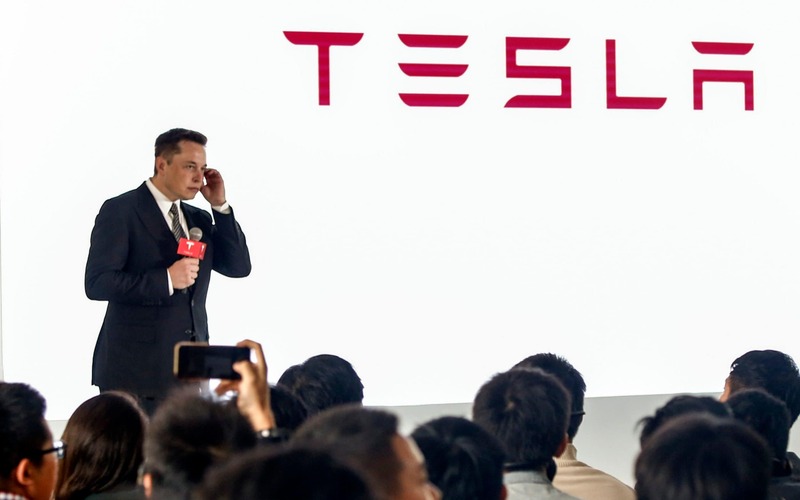 Elon Musk, the billionaire founder of Tesla, has openly complained about joint venture rules in China, and is in negotiations with officials about what kind of deal his company could seal to build a plant there. Critics of China have suggested it insists on the arrangements so that its relatively immature car makers can learn from Western and Japanese manufacturers only to then exclude them from the market. President Xi also signalled that China would lower import tariffs on cars. Currently, cars built overseas but sold in China are hit with a 25pc import duty, while parts for cars coming from abroad face a 15pc charge on top of the 10pc customs duty. 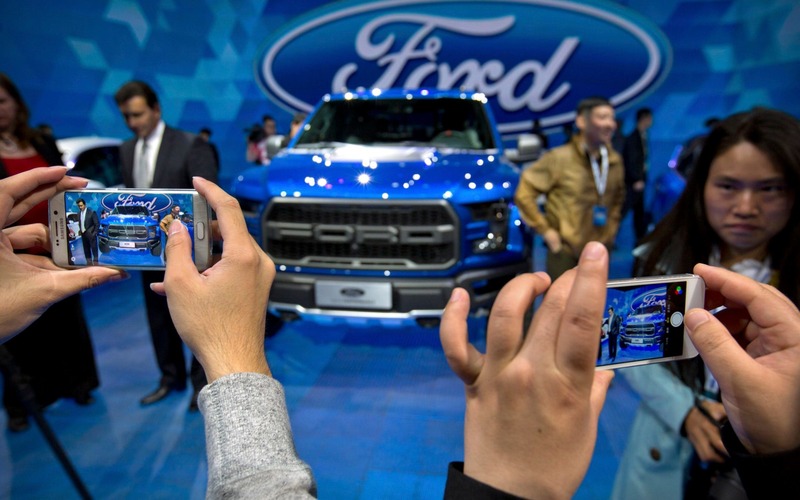 US President Donald Trump has been angered by these import tariffs, tweeting that Chinese-made vehicles face only a 2.5pc levy in America and threatening action on the discrepancy. President Xi also promised to strengthen intellectual property rights, a key Trump criticism of China, and pledged to open up the shipbuilding, aviation and financial sectors to foreign investment. Stock markets in Asia and Europe responded positively to the news, with the FTSE 100 up 0.6pc by lunchtime. China is by far the world’s largest car market, with sales 24.2m vehicles last year - quadruple the amount just 10 years ago. The US, the next biggest market, had 17.3m sales last year. There is also a burgeoning market for electric vehicles in China as the country tries to tackle its pollution problems. This had led to the Beijing government offering incentives to encourage investment in and development of zero emissions electric vehicles. 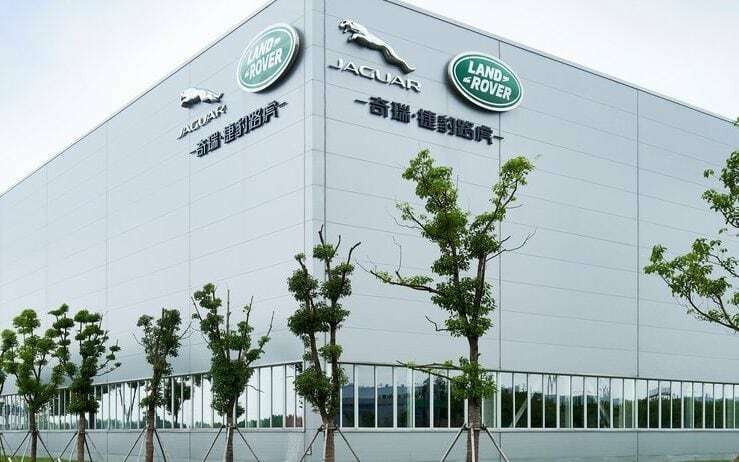 Jaguar Land Rover, BMW, Ford, GM, Daimler, Nissan, Toyota and VW are among the manufacturers with joint ventures in China. The announcements were questioned by analysts at Capital Economics who said President Xi's motives appeared to "portray China as a responsible actor and defender of globalism and free trade... and convince foreign firms and governments that China is entering a 'new phase of opening up'". "Neither of these narratives are entirely convincing," analysts at the economics group said. "It is true that Trump sparked the latest flare up in trade tensions. But the broader backdrop is that despite gradually opening up in recent decades, China retains much higher tariffs barriers than both the US and EU." China’s car sector grew at almost 4pc in 2017, a rate unequalled in any other major market, though this is down from an expansion level in the teens a decade ago. Britain's car industry welcomed the prospect of a more open China in a post-Brexit world. Last year exports of UK-built cars to the country rose by almost a fifth. Mike Hawes, chief executive of the Society of Motor Manufacturers and Traders, said the news would "certainly encourage demand for Britain's ever growing range of premium, luxury and sports vehicles". » Reality Check: How does China-UK trade compare globally?